The Chartered Institute of Management Accountants (CIMA) and The Hackett Group, Inc. (NASDAQ: HCKT) have announced the launch of the Advanced Diploma in Global Business Services (GBS). This is the second offering in their Certified GBS Professionals (CGBSP) program, a comprehensive career development system for the GBS and Shared Services sector from CIMA and The Hackett Group. The Advanced Diploma in GBS (ADGBS) is designed for current GBS leaders and members of a GBS organisation’s senior management team. It is also relevant for senior executives who manage or work with GBS organisations, leadership at business process outsourcing companies, and others. The ADGBS is the highest qualification offered under the CGBSP program and is designed to complement the other two certifications. The Certificate in GBS, which was launched last September, is designed for entry-level associates performing transactional or knowledge-based work. The Diploma in GBS, which will be launched this summer, is oriented towards mid-level managers or people preparing for the role of manager. Each level of certification is driven by a comprehensive syllabus that teaches the skills and competencies required by employers to achieve the highest standards of excellence. At the foundation of the course materials are The Hackett Group’s extensive knowledge of GBS and functional best practices, based on its benchmarking, advisory, and transformation work with top global companies, combined with CIMA’s intellectual content and long-term education expertise. The certification programs are self-paced online learning tools that employees can complete over three to four months. Computer-based objective test exams are available in over 5,500 centres worldwide and are professionally invigilated to ensure the robustness of the assessment. Participants in these programs also have access to an online knowledge centre, offering access to material such as case studies, frameworks, and performance metrics from The Hackett Group, CIMA, and other organisations. The knowledge centre is designed to support participants through exams and life-long learning, with additional material unlocked as individuals complete certification at each level. A new self-assessment tool has also been launched in support of the Certified GBS Professionals program. The tool, which is available here (http://bit.ly/1X6kIMK), is designed to help organisations and professionals determine which of the certification programs is best suited to their needs. The Hackett Group’s research shows that world-class GBS organisations offer managers and staff nearly three times the training hours of typical companies. Professionals are offered nearly twice the training hours. Better talent management also drives an array of bottom-line benefits, including nearly 50 percent higher return on equity and higher net profit margins and EBITDA. The research also shows that the GBS evolution is accelerating. The Hackett Group estimates that there are now over 6,000 GBS centres globally, with a total staff of more than 4.5 million. Nearly three quarters of all GBS organisations have moved beyond single-function centres, to establish multi-function centres. But less than 10 percent of all GBS organisations have completed the evolution to create fully integrated services environments with an end-to-end process orientation and a comprehensive service catalogue. To coincide with the launch of the ADGBS qualification, The Hackett Group is making available for download on a complimentary basis, with registration, its most recent GBS research piece: “The Evolution of GBS Organisational Designs: Design Choices Can Help GBS Leaders Reduce Friction, Tug-of-War over Resources by Competing Interests,” at http://bit.ly/1U8w5Tw. 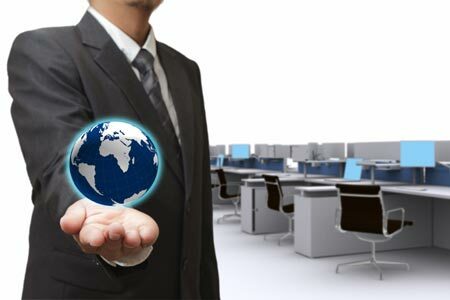 For more information on the Certified Global Business Services Professionals program and its Advanced Diploma in GBS, please visit http://www.cimaglobal.com/gbs.